Hydrofluorocarbons (HFCs) are everywhere: in our cars, refrigerators, air-conditioners and the insulation in the walls of most buildings. They are also increasingly in our atmosphere, where they are important contributors to climate change. Yet you don’t hear HFCs – aka fluorinated- or F-gases – talked about all that much. Until now, that is. While most of the world’s media is anxiously awaiting the outcome of the climate negotiations in Paris this December to determine the global response to climate change, the governments of 95 countries representing approximately 3.5 billion people (or half the world’s population) have put forward proposals to begin tackling climate change in another forum – the Montreal Protocol on Substances that Deplete the Ozone Layer. These proposals target HFCs – a family of super greenhouse gases hundreds to thousands of times more potent than carbon dioxide (CO2). HFCs are one of the six gases regulated under the Kyoto Protocol to the United Nations Framework Convention on Climate Change (UNFCCC). Despite their ostensible regulation under the Kyoto Protocol, emissions of HFCs have been growing over the past two decades faster than any other gas in the Kyoto basket. Worse still, HFC emissions are predicted to increase even faster in the future. This is occurring because HFCs are primarily used as replacements for ozone-depleting substances that the Montreal Protocol is rapidly phasing out. While details of the five proposals – four formal amendments and one conference room paper – differ, the thrust of each is to cap and phase down the production and consumption of HFCs in the coming decades using the same regulatory framework that has put the ozone layer back on the road to recovery—the Montreal Protocol. The climate impact of the amendments will depend on the ambitiousness of the final agreed amendment schedule, but analysts estimate the result will be to reduce or avoid approximately 50–100 billion tonnes of CO2-equivalent by 2050. To put that figure into perspective, it is estimated the Kyoto Protocol reduced or avoided approximately 11 billion tonnes of CO2-equivalent during its first 20 years of operation from 1990-2010. An HFC amendment under the Montreal Protocol will deliver five to 10 times more climate mitigation than the Kyoto Protocol, at significantly less cost. While amendment proposals from island states, led by the Federated States of Micronesia and Mauritius, and the North American countries have been submitted for six successive years, this year they were joined by amendments from the EU and India. All of the amendments were bolstered by a proposal from Senegal and Zimbabwe on behalf of the 55 countries of the African Group guiding the HFC negotiating process. Indeed, the chorus of countries voicing support for one proposal or another at the extraordinary Open-ended Working Group meeting in Bangkok in April reached deafening levels and left the handful of countries blocking the negotiations – mostly middle eastern Gulf states – somewhat isolated. But as with any international agreement, the devil is in the details and critical differences between proposals remain. 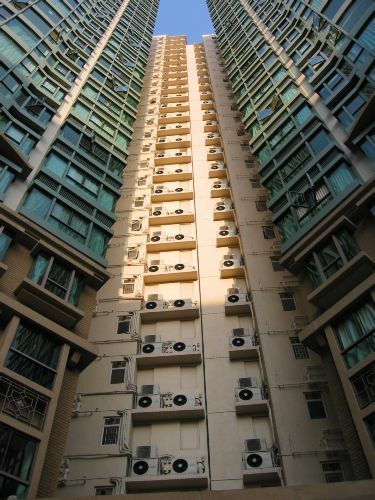 Countries with high ambient temperature conditions want special measures to protect their right to air-conditioning and refrigeration in the event that suitable alternatives in those conditions are not available in all sectors affected by the phase-down. For these countries, air-conditioning is critical to their lifestyle and economic development. Developing countries want reforms to the Multilateral Fund – the Montreal Protocol’s financial mechanism – to ease the transition away from HFCs and to maximise the climate benefits of the phase-down by promoting energy efficiency and early action to leap frog HFCs altogether. And Developed countries disagree over when and how quickly they can phase down HFCs. But none of these challenges represent an insurmountable obstacle. Following the meeting in April, the Parties agreed to meet between sessions to work out what needs to be discussed so they can hit the ground running at their next formal meeting in July. Many hope this indicates the potential for agreement at the Meeting of the Parties to the Montreal Protocol in Dubai this November. If the governments of the world can come together to agree to an HFC phase-down amendment in Dubai, they would be striking the first real blow in the fight against climate change before the first delegates even arrive in Paris, providing critical momentum to the UNFCCC negotiations. Until then, expect to hear a lot more about HFCs.